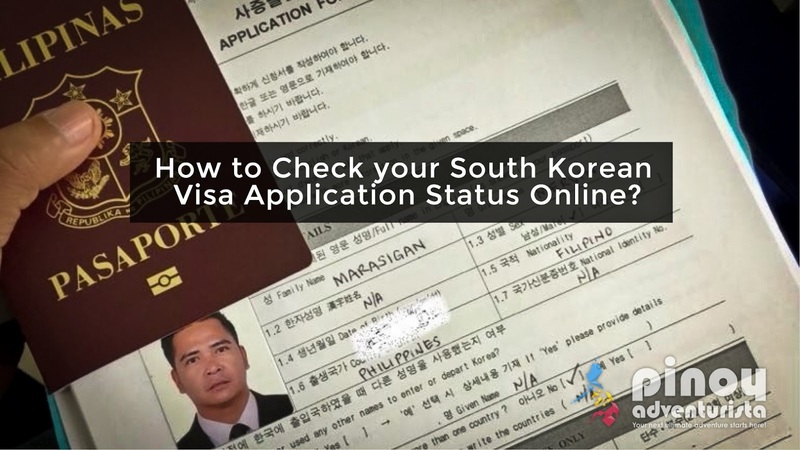 Okay, your Korean Visa Application was accepted and it is now being processed, and you're too excited to know if you were granted a visa or not. It usually takes about 3 working days for the visa to be released for applicants with OECD Visa/s. 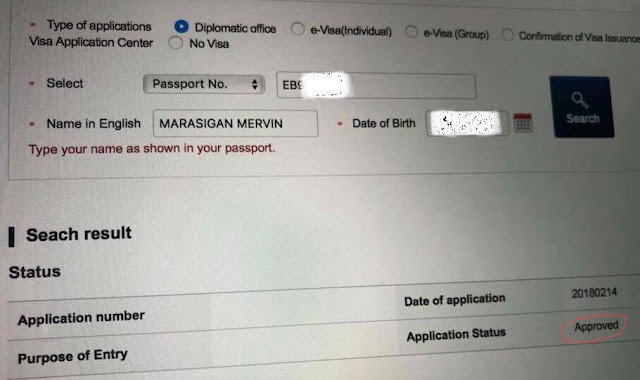 For those without OECD visa, applying in Manila takes about 5 working days for your visa to be processed and 7 working days if you're applying in Cebu. 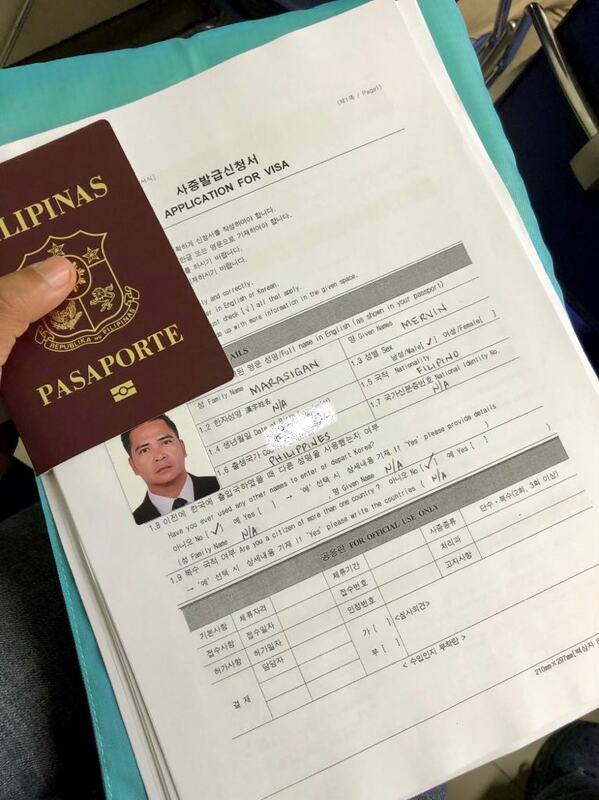 Last February 14, 2018, I went to the Korean Embassy in Manila to apply for a tourist visa. After submitting all the required documents, I was given a slip that says my passport will be released on February 20, 2018 whether my application is approved or not. I have a Japan Visa which is one of the members of the OECD or Organization for Economic Co-operation. That's why, my passport will be released only after 3 working days. Yey! At dahil excited ako, and I can't wait to know if I was granted a Korean Visa or not, I checked my Korean visa application status online. Yes, it's possible to check it online. All you need to do is go to Korean Visa Portal Website and change the language to "English." On the left-hand side of the website, choose "Check Application Status" and click on "Check Application Status & Print" and you will be directed to the search page. Follow these steps. Step 4: Enter your "Date of Birth"
It will then show your application status! Yey! APPROVED! Hehehe! As easy as that! ALSO READ: How to Apply for a SOUTH KOREA VISA in the Philippines in 3 Easy Steps! What are the requirements for applying a tourist visa? What are the member countries of OECD? What is the address of the Korean Embassy / Consulate? What time is the Visa Application? It's from 8:30 am to 11:00 am, Monday-Friday. Arrive early at the embassy because it's a first come first served basis. What time is the releasing of the Passport? It's from 1:30 pm to 4:00 pm, Monday-Friday. How much is the visa fee? For tourist visa with a stay of less than 60 days, visa application is FREE. If you have other questions, please feel free to leave a comment below. Hi. I wonder if you know if ok lang na we claim our passport way after the date indicated sa claim stub? Very clear and helpful! Thanks a lot!